Banana boxes move along a conveyor. Volunteers place food in the boxes as they pass by. The food includes breads, cereal, dry goods, canned goods, meat, frozen goods, produce, dairy products and fresh fruits and vegetables. Handout Day is on the 3rd Saturday of each month. Just show up on 3rd Saturday of each month at 6:45 AM and plan to be there until around 11 AM. 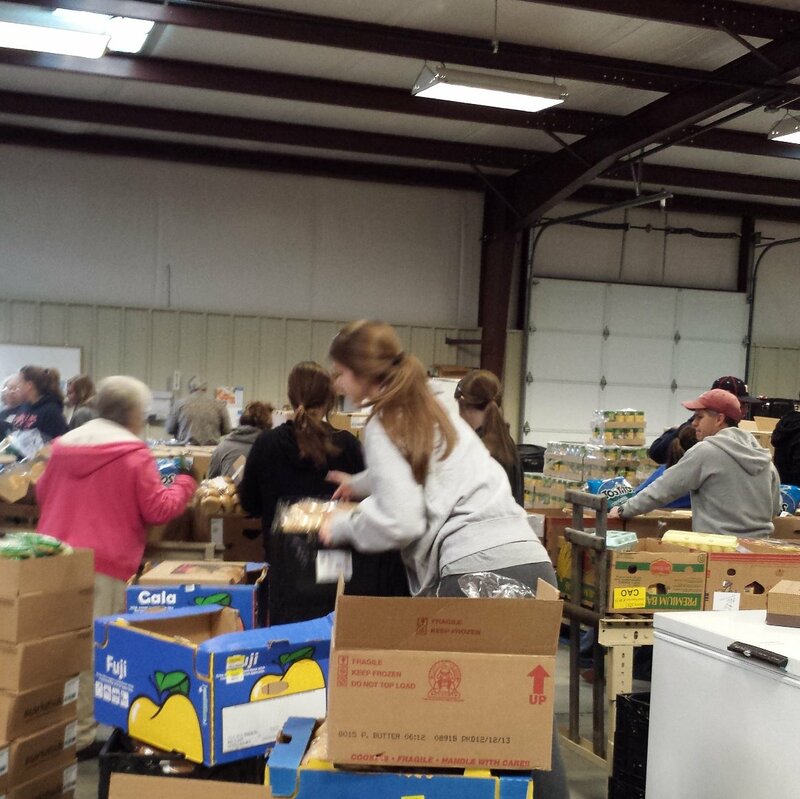 Log in to see who is volunteering for Packing boxes On Handout Day!